Yemen is a country with an exceedingly rich history. Its rolling mountains and rugged desert terrain lie where one of our oldest civilisations once stood, encompassing an intricate cultural and tribal past. The Prophet Mohammed once said of Yemen that it would be the last refuge for his army, should they need to escape and seek safety in the face of danger. Today, alas, it is hard to find refuge in Yemen. In fact, the situation now facing the war-torn country sadly illustrates a disturbing paradigm in our contemporary aid response to such crises. As a humanitarian community, our very being is founded on the principle of impartiality, to act when we face people in need, and to act more when we face people in more need. Of course, there are always political, economic or ideological factors behind why one conflict may be of more interest to governments, media and public opinion than others. However, in the case of Yemen, the general disinterest is so grossly disproportionate to the situation on the ground that it begs a discussion surrounding why. Due to the seeming lack of newsworthiness, many people in the world today would not know how dire the situation in Yemen today has really become, after progressively worsening since this latest war broke out in March 2015. The military campaign led by Saudi Arabia and its coalition of Gulf States continues to bombard many parts of the country. While the level of bombing has diminished somewhat since the early months; however, certain areas such as Saada and the capital city Sana’a continue to sustain regular shelling. Meanwhile, other areas – most notably in the south - remain embroiled in street fighting as different actors vie for political control. As is always the case in armed conflicts, those who suffer most are the civilians, and – in just a matter of months - normal life has become far from normal for most Yemenis. An embargo imposed by the Coalition to limit the import of arms has had a devastating effect across all sectors of commerce, causing huge difficulties in bringing in fuel and other products, including essential food substances. Access to these products is made even more difficult due to the actions of Houthi authorities on the ground and their unwillingness to fairly distribute these imports to the different governorates. For Yemen, a country that relies enormously on imported goods and has very little of its own natural resources or sustainable industry, this has effectively paralysed the country’s economy and caused a surge in black market activities. This situation has caused thousands of deaths and injuries, wide scale damage and waves of displacement throughout the country. However, unlike in Syria - which has much easier access to the Mediterranean and a population with higher economic means – there is no place really for Yemenis to flee to. At their northern border is a hostile country that is bombing them, and their other options for refuge across the Strait of Aden, which are Somalia and Djibouti, are dangerous and for security or economic reasons extremely limited. Instead, thousands of displaced Yemenis are on the move inside the country, living in extremely precarious conditions and hoping for the instability to subside to be able to return home. They travel with their small children and are remotely dispersed throughout Yemen, which makes them more difficult to locate. Many have been forced to flee various times after the bombing of displaced persons camps throughout the country. As another indication of worsening living conditions, Yemen’s already fragile healthcare system has seriously deteriorated over last months, making access to basic healthcare a challenge for many Yemenis. The health sector was already weak in the country prior to the conflict, but now ever more so as it is a sector that depends greatly on imported fuel, drugs and medical equipment to be able to provide its people with a minimal standard of care. Exacerbating the problems relating to the embargo, there have been many violent attacks on health infrastructure, either by direct targeting or indirect damage. A high number of these incidents were recorded by MSF in the southern governorates of Taiz and Aden, and many others in Hajjah, Sana’a and Maarib. Attacks have involved shelling, gunfire, use of medical installations for sniper positions, attacks on ambulances and prevention of access to medical supplies, and are being committed by all sides to the conflict. 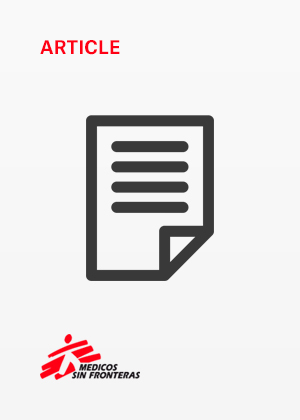 As was seen in Afghanistan in an extreme case of such violations, when MSF’s Kunduz hospital was directly hit in October 2015, such attacks endanger the lives of patients and health staff. They also greatly jeopardise people’s right to access medical treatment in a time of armed conflict, and are illegal and unacceptable. In Yemen today, a high number of health practitioners have now fled and many of the country’s hospitals have already closed their doors, unable to operate in such circumstances. Overall, the embargo and the violence are severely crippling the capacity of the Yemeni healthcare structure to respond to emergency medical needs as well as routine health needs. Despite the dangers, a small number of medical organisations such as Médecins Sans Frontières (MSF) continue working in Yemen’s troubled governorates, including highly insecure areas such as Aden and Saada. The work of these aid groups has been crucial to helping prop up the ailing health structure of the country. However, the enormous needs in the country span many sectors, not only the medical. Why is it then that so few non-medical actors are operationally active in the country? We might start first by looking at what media interest there is surrounding Yemen. Despite the situation described above, both Arab and western media presence in Yemen is extremely low and it is important to look at the underpinnings of this conflict to understand why. The contemporary grievances of the Houthis date back to the 1962 abolition of the Imamate in Yemen, when the Zaydi Shias – primarily based in the north of the country – lost a large amount of political power. Thereafter, different groups within the Houthi community remained interested in regaining some of that power, and this largely formed the basis for the Houthi uprising that has been ongoing since 2004. More recently, the regime change in Yemen – provoked by Arab Spring protests and considerable foreign political pressure – left a power vacuum in Sana’a, which was then capitalized on by the Houthi insurgency. It is at this point that Saudi Arabia, concerned by this growing Shia-dominated political power which would potentially be able to control a strategically essential oil transit route, got involved. The fight facing this country is thus an internal one, with historical bases in numerous conflicts and political transitions that have taken place in the country over past decades, but also with important regional sectarian dimensions. It is a conflict that is very relevant to current divisions in the region that have been progressively worsening, particularly since the 2003 Iraq war. Likely due to a mix of sectarian, political and financial alliances, Arab medias are largely staying away from Yemen. As for western medias that are not tied to government policy, Yemen is a dangerous and costly context to send journalists. A handful of valiant international freelance journalists remain in the country; however, they find it difficult to sell their stories to media outlets, most of whom are wary of kidnapping and other potential forms of liability. As a result, Yemen is not frequently in mainstream news, even among Arab medias where it should be being discussed as a prime regional issue. The situation represents vicious cycle of disinterest: it is too political for Arab media, too expensive and dangerous for independent western media, and its political wrangling and internal squabbles are too complex for the mainstream public. And thus, no one is talking of the harsh reality in Yemen today. Compounding the media vacuum, and similar to the Arab media, many governments in the world currently do not appear to have Yemen’s humanitarian needs high on their foreign policy priorities, due most likely to political alliances with the Coalition. Although Saudi Arabia has pledged to rebuild, at possibly any price, the country it is tearing apart, the overall lack of political will of governments worldwide is what will prevent an adequate humanitarian response in Yemen any time soon. Without the necessary political pressure, the UN does not move. Rather, it is paralyzed by its own rules and mechanisms which – when there is no sufficient pressure from donors - render it totally unfit for a high insecurity context. UN agencies worked much of the first phase of Yemen’s conflict remotely from Amman, justified as a location of “proximity”. In the summer of 2015, the UN declared Yemen to be a level- 3 emergency. They claimed that 80% of the population required humanitarian assistance and that the country’s inhabitants were “one step away from famine”. They very positively spoke of “scaling-up” and needing more funds for Yemen. Many expatriate staff members were moved into a big UN compound in Sana’a for even closer “proximity”. However, more than this, experienced teams are much needed outside of the capital to deal with the multiple humanitarian needs being faced throughout the country. As long as the security analyses of the UN’s security body, the UNDSS, remain dire and continue to limit movements, UN staff will effectively remain bunkered down with very little operational field presence, and impact will be limited. At the end of the day each organization needs to make its own security analysis and define the threshold of perceived risk at which is it willing to work. However, this threshold must be justified in a country where needs are sky-high and cautioned access is completely feasible. Despite the conservative UNDSS regulations, more nuanced readings have been conducted by the security officers of individual aid agencies. MSF itself has vehicles and a strong team, including considerable numbers of specialized expatriates, conducting projects even in the most difficult areas in the country. It is not only the UN agencies that are affected by this stand-by. Without the green light from the UN security apparatus, the plethora of aid organisations that form part of the UN’s cluster system, as well as potential implementing partners, cannot operate. Many of them are dependent on UN security clearance, as a precondition for UN pool funding, as well as logistical support in order to be operational. Independence of the whole apparatus is thus seriously compromised, both from a principled perspective as most of the funds at UN disposal come from Saudi Arabia, as well as from a pragmatic one as the UNDSS holds the key to all movements. As a result of the lack of political will, and the paralysis of the UN and its partner aid organisations, very few non-medical actors are present in Yemen today. This absence leaves large aid gaps in a country facing a multitude of problems that, if untreated, will continue to grow. Upholding the health system alone (which itself proves a big challenge for MSF and others) is not enough to ensure Yemenis a dignified life. The right to live in dignity is multi-faceted and must include support for the education sector, vulnerable groups, the employment sector but also the most basic tenets of human needs such as food and water. These immediate needs are faced by much of the Yemeni population, but especially by those forced to flee their homes due to the conflict. Such a complex humanitarian crisis cannot be treated by just one type of actor; it needs the complementarity and holistic nature of the aid responses typically required in crisis situations. The Yemen crisis demonstrates an important failing in our humanitarian structure. It is clear that the current response is not upholding the principles of impartiality and independence. However, as a humanitarian community – including the UN and despite its political limitations - we need to fight to defend our needs-based presence, even when political will is lacking. We need to remind ourselves of the values that shaped our foundation: helping people in need, and helping more those who are in more need. We cannot retreat into passivity and risk-averseness when we face political disinterest. Humanitarians are in a dangerous line of work, but we can never completely eliminate the risks, and must act, albeit cautiously, when we face severe needs on the ground. In such a situation, UN’s bunkered presence in Sana’a is not only largely futile but is also counter-productive as it paralyses a large and important part of humanitarian sector. And when the humanitarians are not there, nor the media, then who remains to tell the story? Unfortunately, having very few neutral international temoins – coupled with the lack of media interest - means that there are hardly any voices to speak out about Yemen’s sad situation. There is very little advocacy and political pressure to stop the embargo and the bombardment of civilian areas in the country. The anonymity of the Yemeni conflict therefore provides cover for the violations of international law that continue to take place on an extremely worrying scale. Despite the dramatic bombardment, the heavy weaponry being dangerously used in high- density civilian areas, mass displacement and desperate humanitarian needs, unfortunately Yemen seems to lack the wow-factor that the hordes of refugees crossing borders have for the media and the general public. Rather, the consequences of Yemen’s conflict comprise a gradual, yet extremely serious, deterioration of an entire country that currently teeters on the edge of a total breakdown. The smattering of organisations present and the small initiatives may delay the breakdown but will not prevent it. It will only be when Yemeni refugees start to embark on perilous routes to come to Europe that we will actually sit up and take notice, and wonder why we are tackling the secondary consequences of this unknown conflict rather than the immediate ones when we were able to. As humantarians, we are not able to stop the conflict taking place in Yemen today, but we are still in time to help the Yemeni people find the refuge they need, within their own country.